2016 was an exciting year for the startup scene in the Indian market and 2017 only seems to be gearing up for more excitement. We have taken a good look at market trends and compiled a list of all the startups that you should look out for in the coming year. Nearly all of these performed phenomenally well in the year that just went by, having come up with innovative technology, getting into brilliant partnerships or simply landing extravagant funding with their zeal and talent, and they are now looking to cashing in on a cashless 2017. FairCent is a peer-to-peer lending platform which has benefitted greatly from the demonetization move and is looking to do tremendously well in the coming year. Co-founded by Rajat Gandhi and Vinay Mathews back in 2014, FairCent is now disbursing loans worth 1.5 crore rupees a month and is sure to soar in 2017. Also founded in 2014, Tripoto is a startup that allows travellers to come together as a community to share their travel stories and itineraries with each other. This year, Tripoto is looking to expand its user base and also monetize on the various posts that have been made on the platform. Its founders are Michael Lyngdoh and Anirudh Gupta. Unbxd is a unique startup with works with e-commerce companies, both in India and abroad, and allows them to discover products, make power searches, find product recommendations and navigate across their fields of concern. This startup is said to have grown 10 times in market share and value in the past year and is looking to go big in the present year with an eye on foreign shores, especially in the west. Founded by Vipul Mishra and Manish Jha, CanvasFlip is a prototyping and testing platform which allows companies to make use of real time testing in order to enhance their mobile user experience. This company brings creativity and innovation to the table and works with hundreds of clients, which includes big players such as Myntra and Paytm. Although the market for food service technology has not been doing well lately, especially over the past two years, certain startups managed to evade misfortune and emerge a success. FreshMenu is one such startup. The company was started by Rashmi Daga in 2014 and prepares and delivers food cooked it its own kitchens in the cities of Mumbai, Bangalore, Gurgaon and Delhi. Daga, who has stated that FreshMenu registered three times growth in the number of orders in the previous year, plans to expand and set up operation Pune and Hyderabad in 2017. Founded in 2015 by Riddhi Mittal and Abhishek Garg, Finomena runs on an innovative idea. It makes the use of algorithms for assessing the credit-worthiness of young working professionals who were unable to get loans from banking establishments and assists them in getting micro loans for consumer electronics currently based in Bangalore, this startup claims to be the only financial technology startup to reach 100,000 downloads in Play Store within a span of just nine months and plans to launch in 10 cities this year. This is an e-commerce company founded in 2015 by Atul Rai and Abhishek Sharma which allows users of online stores to search for retail products using pictures instead of words. The technology runs on artificial intelligence (AI) that is integrated into the search engines of e-commerce companies to provide easy solutions. This Gurgaon based startup is all set to make it big in 2017 as e-commerce is soon going to go higher in the Indian markets. Financial technology got a tremendous boost in 2016 thanks to demonetization and Digital India and fintech companies are geared up to soar in the coming year. Capital Float is a startup with is looking to do the same. Founded in 2013 by Sashank Rishyasringa and Gaurav Hinduja, this company runs on many inventive ideas such as the Pay Later option which gives financial credit to retailers against the data that is collected on PoS machines. Based in Bangalore, Capital Float grew 8x in 2016 and is definitely a company to watch out for in the current year. This startup is one of its kind in the Indian market scene. Set up in 2015 by Shreya Mishra, Pranay Surana and Tushar Saxena, it provides designer clothing rental services to users. The company operates in Mumbai, Delhi, Bangalore, Hyderabad and Ahmedabad and offers a wide range of brands such as Ritu Kumar, Masaba Gupta, Hugo Boss, Calvin Klein, etc. It is set to launch offline stores in Mumbai and Delhi in 2017 and is aiming to expand their brand collection and growth 10x. This lifestyle tracking platform recently crossed a million downloads on Play Store and is only the second such app to reach that figure. HealthifyMe was set up in 2012 by Tushar Vashisht and Sachin Shenoy in 2012 and is growing at the rate of 25% month-on-month. Based in Bangalore, this app lets users find the calorific value of Indian food and was featured as one of the best apps on Play Store in 2016. 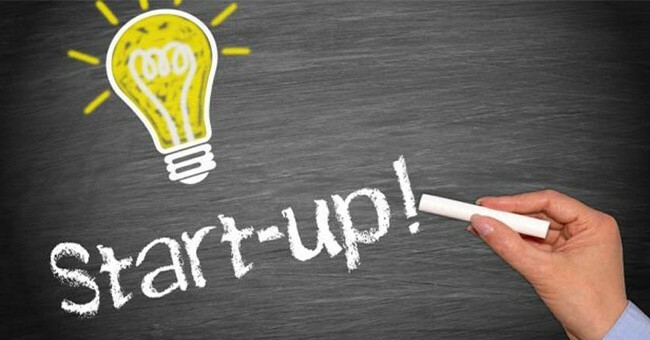 This year it is looking to make it big by raising more funding and increasing its user base.